Watch full Naruto Shippuden Season 18 Episode 4 English Dubbed full HD online. Naruto Shippuden Episode 376 English Dubbed online for free in HD. Months prior to Sasuke defeating him, Orochimaru conducts an experiment where he used lightning to bring a robotic being to life. But he and Kabuto were forced to evacuate when the robot goes berserk and begins to destroy the building. The following day, the robot is found by Itachi and Kisame with Pain repairing it before he instructs Itachi to use the robot to capture Naruto. Sent into Konoha, the robot begins its search for Naruto while attacking several villagers and defeating Team Guy. 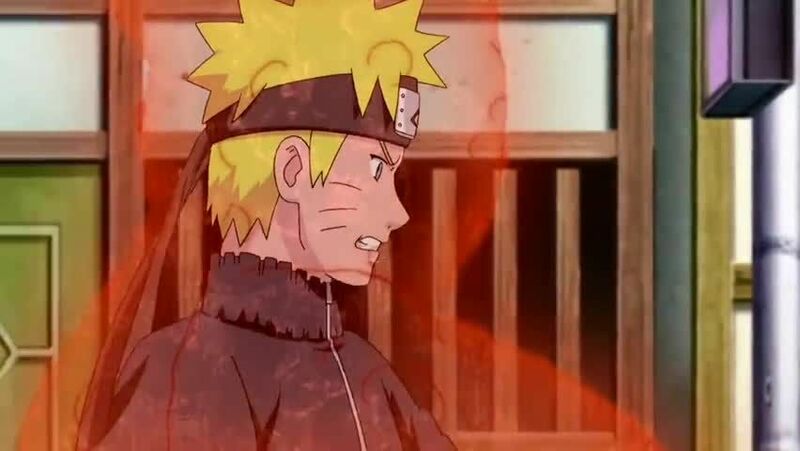 Naruto himself shows up to stop the robot so that he can get back to training, his clones easily repelled yet manages to force the robot’s cloak off. The robot is then revealed to be a mechanical replica of Naruto, whom is named Mecha-Naruto. Mecha-Naruto begins siphoning Naruto’s Nine Tails chakra, causing Naruto to lose his strength. Kakashi and Yamato arrive with the former distracting Mecha-Naruto with his Lightning Blade, giving Yamato the opportunity to save Naruto. The trio manage to escape using a secret tunnel and Mecha Naruto responds by destroying the village in an effort to find Naruto. In the Hokage’s office, Tsunade devises a plan to lure Mecha-Naruto away from the village: Naruto rides away from the village in a palanquin with Yamato while Choji, Kiba, Neji, and Shikamaru act as bearers and Kakashi as backup. The plan is put into action and Mecha-Naruto starts pursuing the palanquin. Shino, not wanting to be left behind like last time, attempts to distract Mecha Naruto before being defeated. The group decides to escape into the forest with Shikamaru switching places with Kakashi in a futile attempt to defeat Mecha-Naruto. Back at Konoha, Tsunade orders Shizune to request assistance from the Hidden Sand.